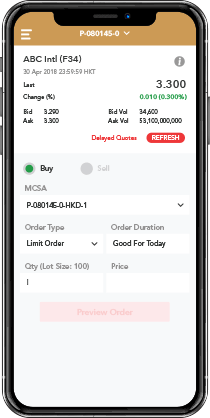 Offers are subject to Terms & Conditions. 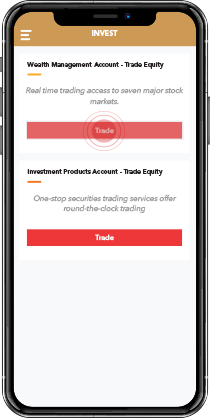 Trade equities across 7 international stock markets, including HK, SG, the US, CA, JP, AU and the UK. 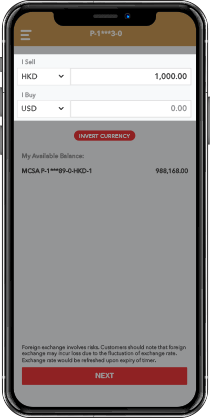 Trade up to 14 currencies 24x7*. 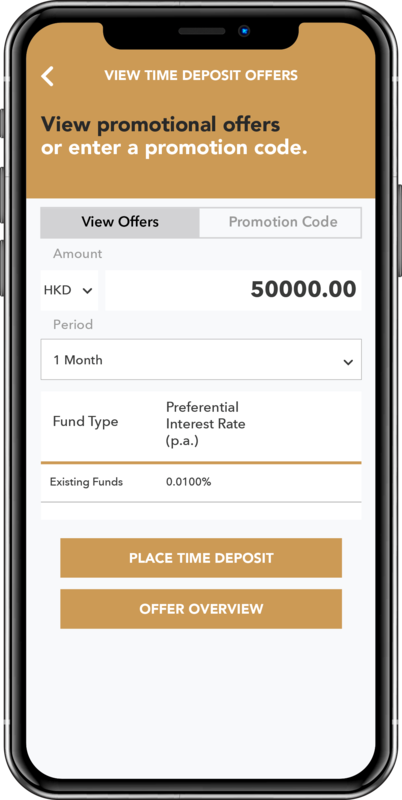 Enjoy offers such as foreign currency time deposits and preferential rates. 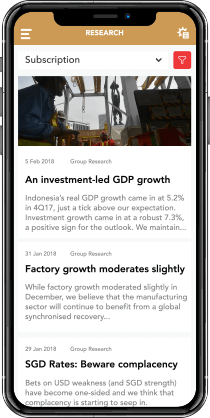 Leverage our research to guide you on currency outlook. 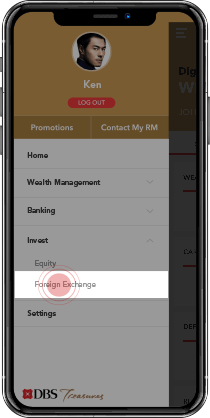 Investment & foreign exchange involves risk. 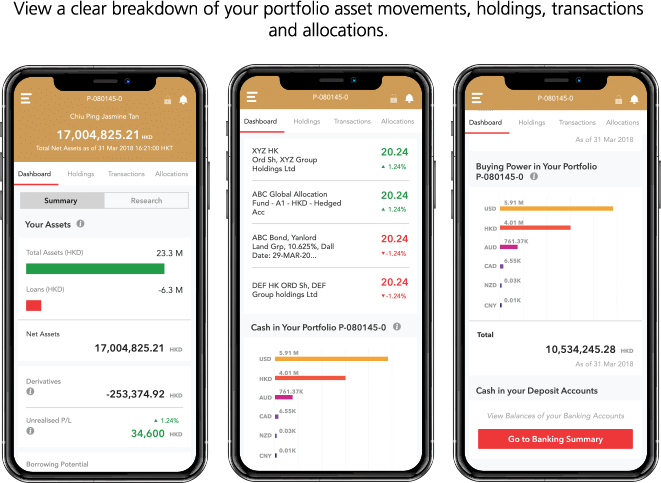 Get the full picture of your wealth in complete clarity. 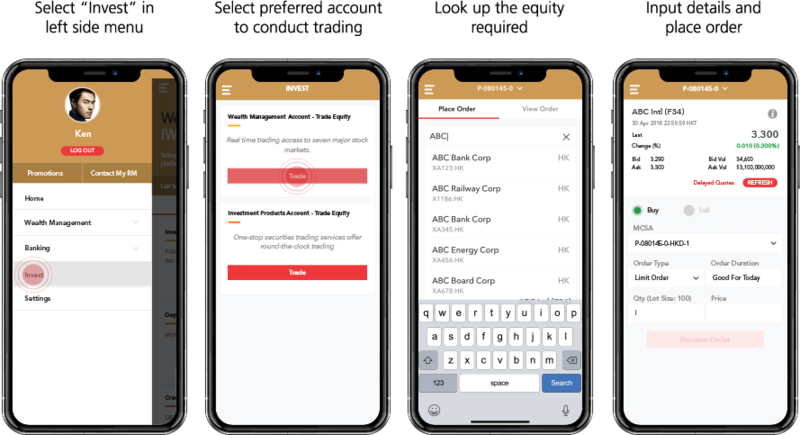 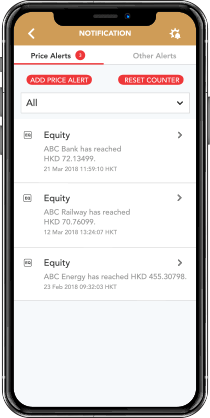 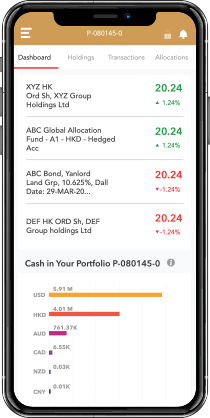 You can see and monitor your banking, trading and wealth portfolio, anywhere anytime. 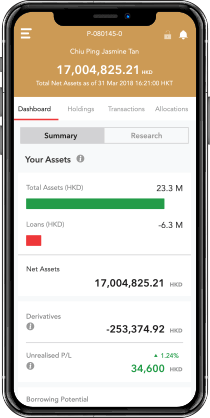 View a clear breakdown of asset movements, holdings, transactions and allocations. 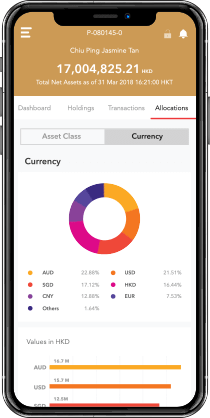 See an instant overview categorised by currency and asset class. 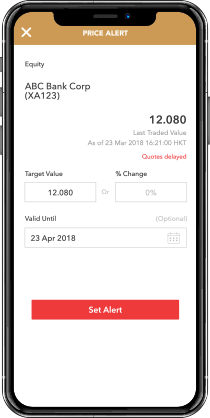 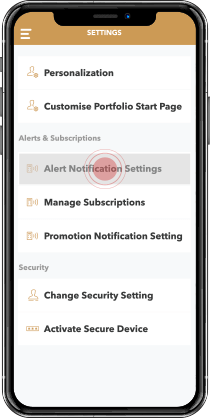 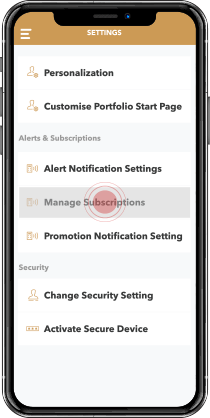 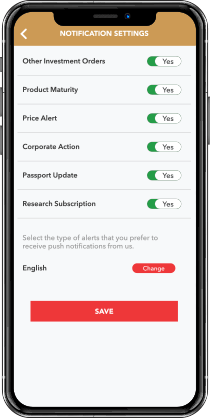 Receive price alerts on target stocks and FX directly on your smartphone. 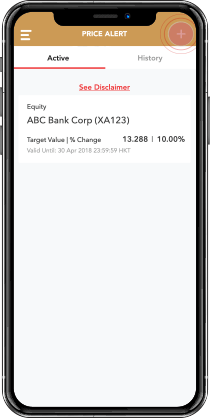 Get alerts on voluntary corporate actions (such as dividend choices) and bond maturities. 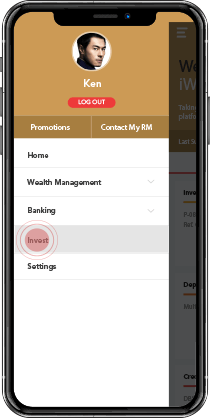 Stay on top of the markets and seize the right opportunities with the research relevant to your investment portfolio. 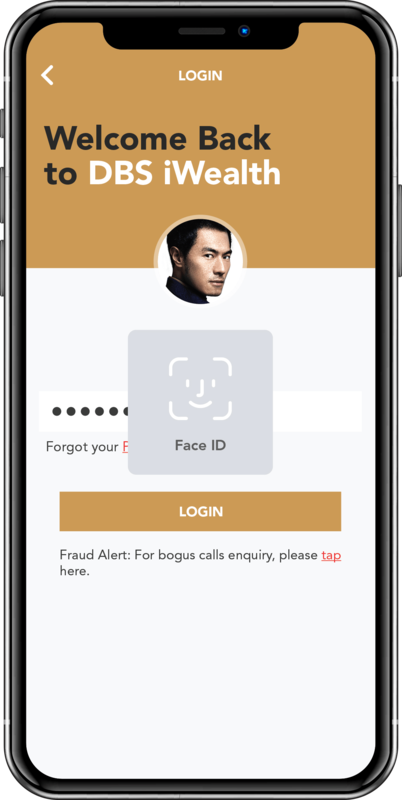 Your face ID1 or fingerprint2 is your password. 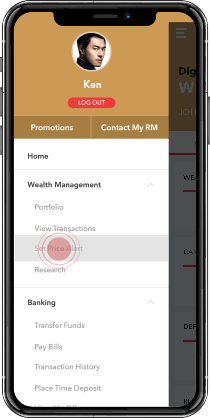 Just look at or touch the screen or touch to log into the DBS iWealth® app on iOS and Android smartphones. 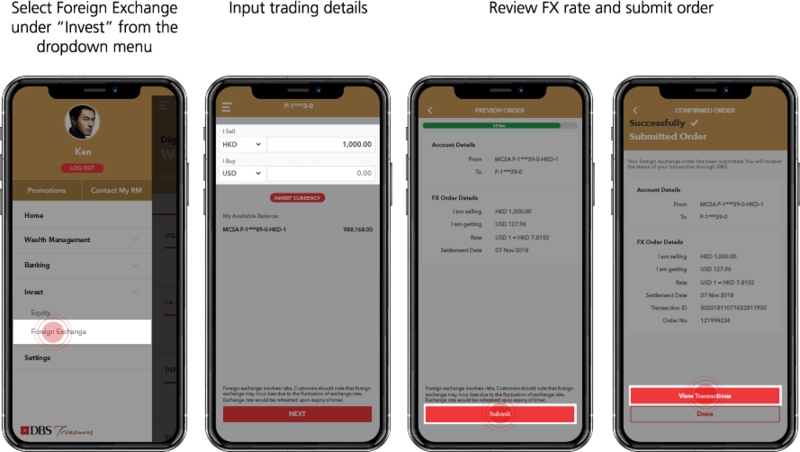 Available on Face ID enabled iPhone X. 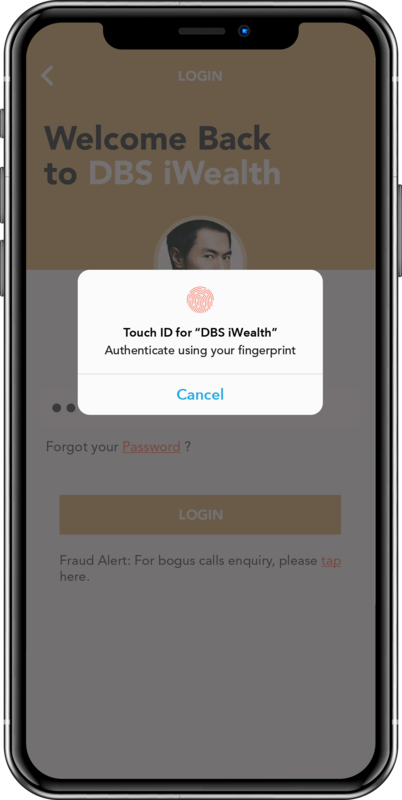 To use Face ID in DBS iWealth® app, you will need to turn on Face ID for DBS iWealth® app in your iOS Settings. 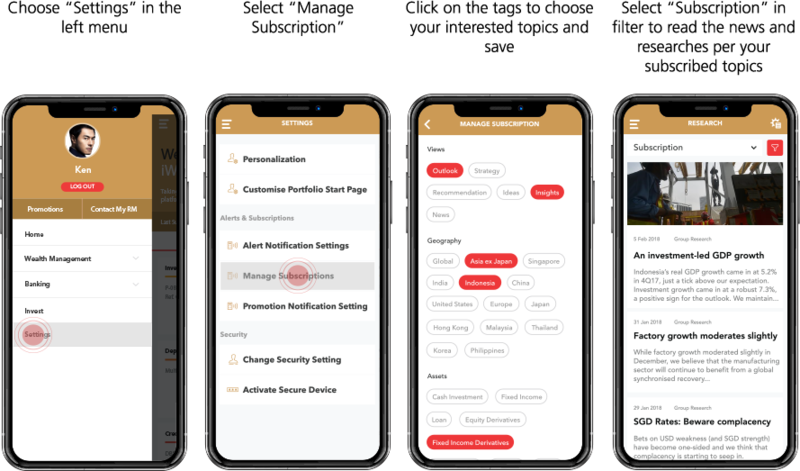 Available on Touch ID enabled Apple smartphone running on iOS 9.0 or higher; fingerprint enabled and designated Android smartphone operating on v6.0 or higher. 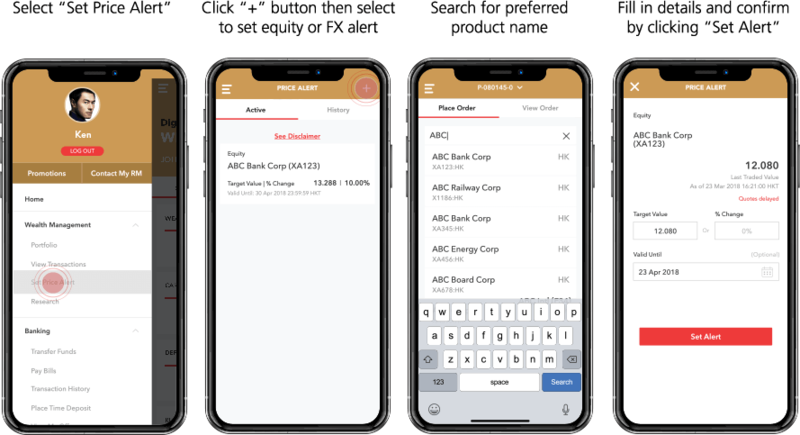 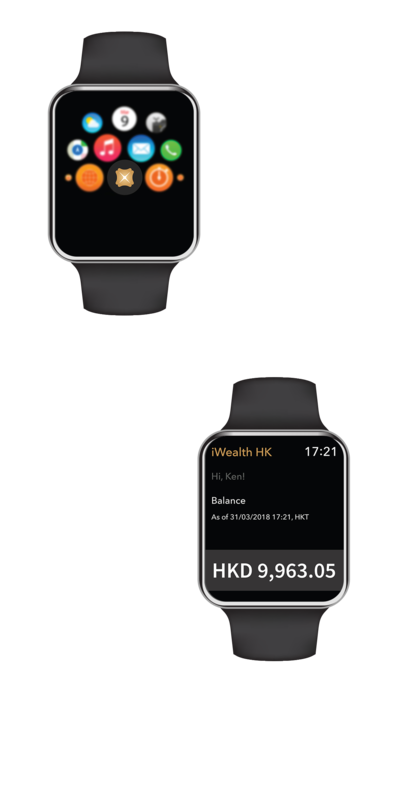 Check the balance of your designated account on your smartphone or Apple Watch. 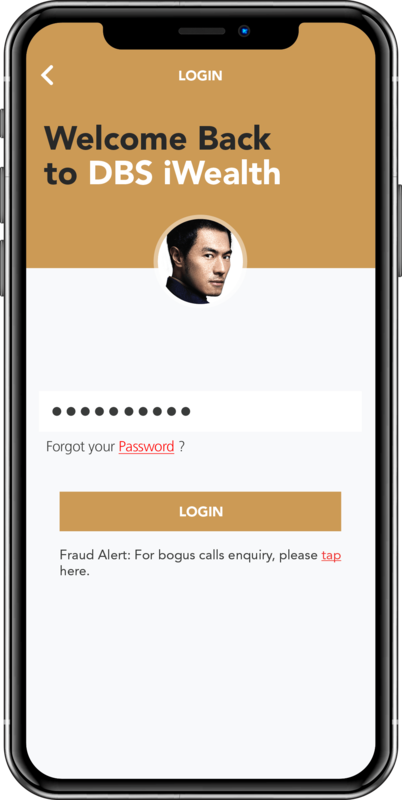 No login is required. 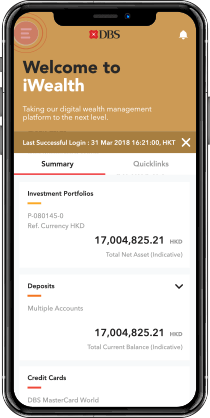 Add up to 9 of your most frequently used services for direct access, which enables you to make investments and time deposit placements faster. 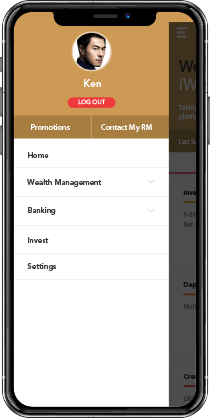 Pay bills and transfer funds to any registered or non-registered payee directly. 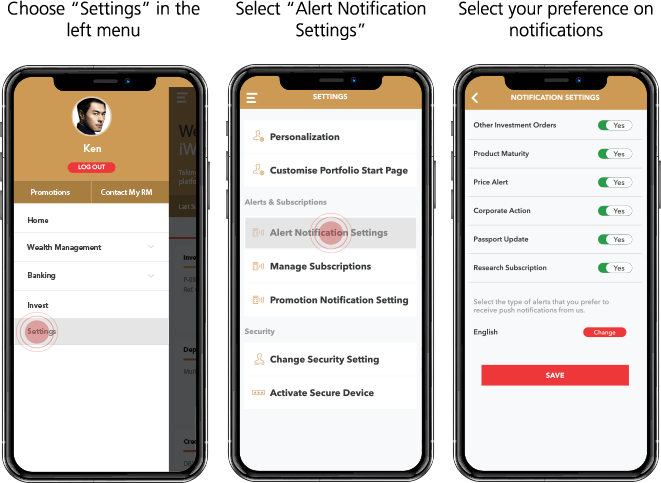 Add your profile picture and nickname. 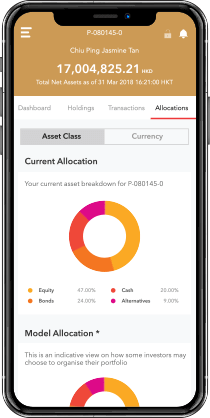 View a clear breakdown of your portfolio asset movements, holdings, transactions and allocations. 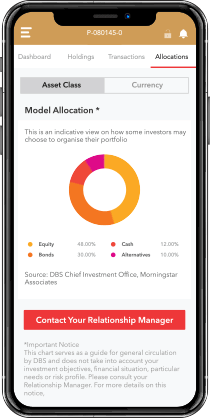 Monitor your portfolio by category. 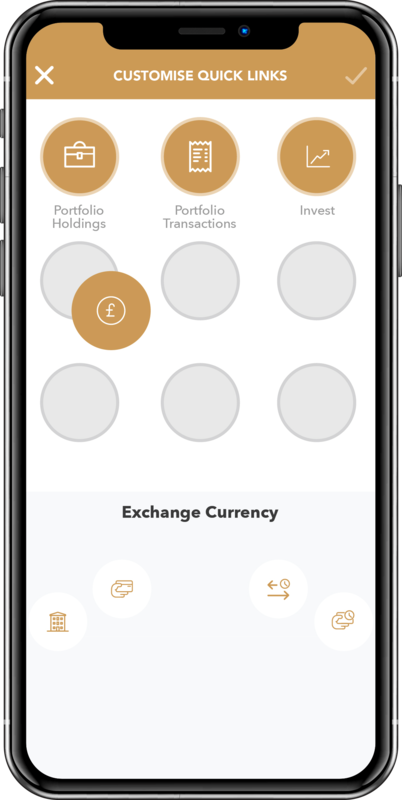 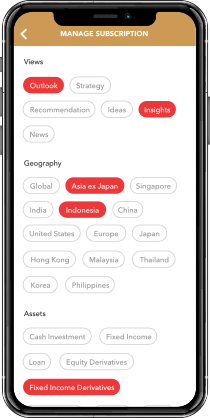 Simply tap the “Asset Class”, or “Currency” tab. 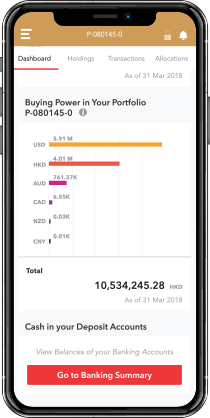 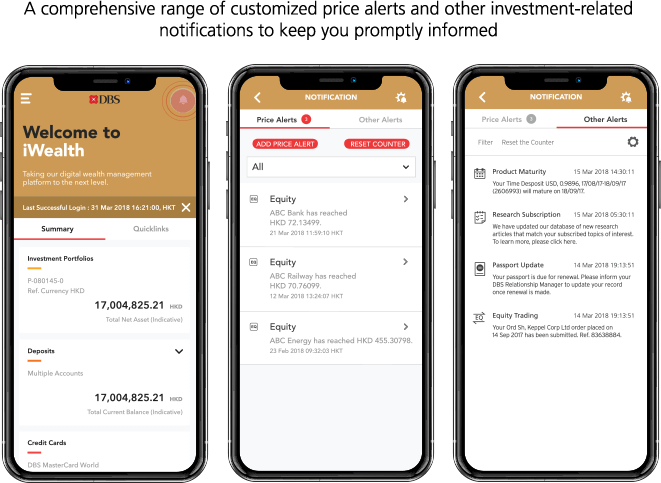 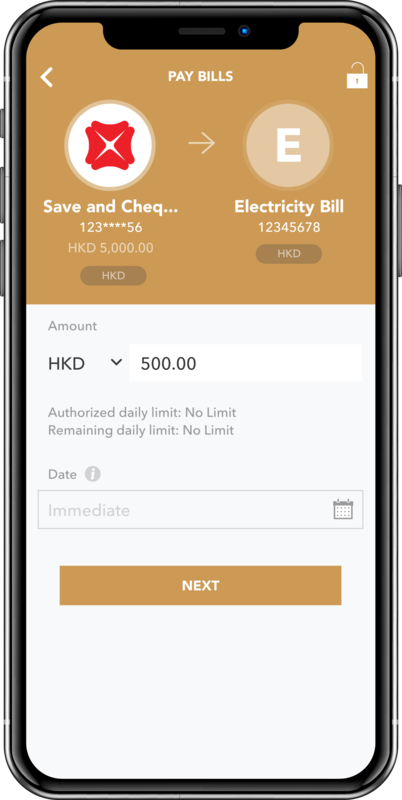 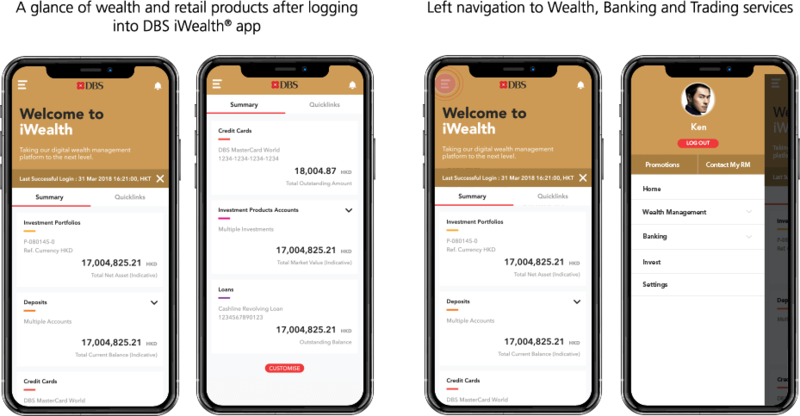 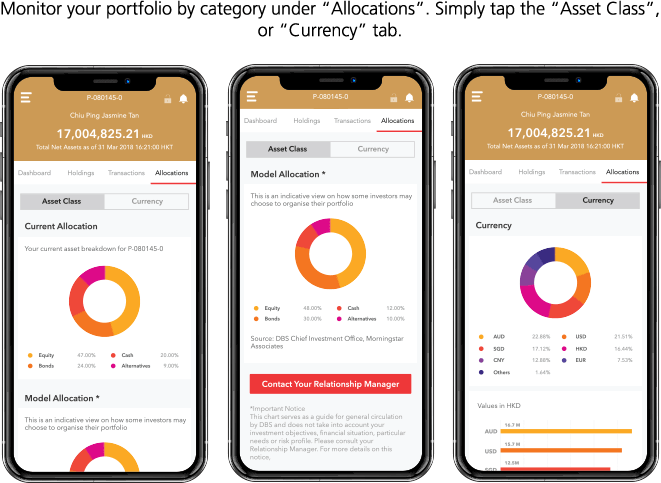 How to enjoy the full advantages of DBS iWealth® app? Not yet activated DBS iBanking? 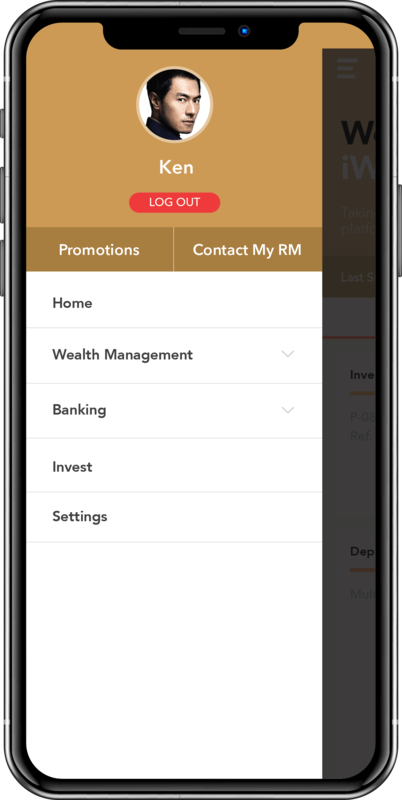 Not yet signed up for Wealth Management Accounts? 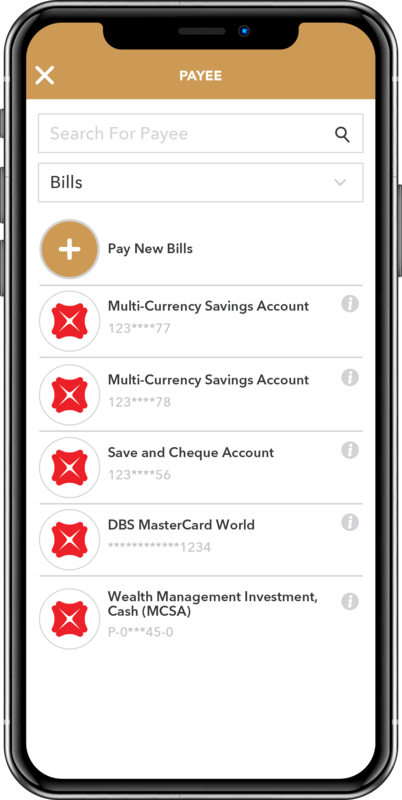 Security Alert: Our bank has strict security standards and procedures to ensure unauthorised access to customer information is prevented. 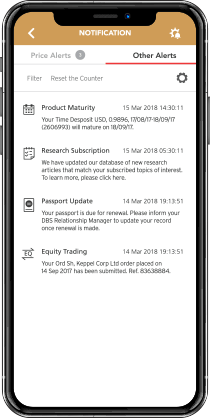 We will never ask our customers to provide or validate their personal and/or account related information (e.g. 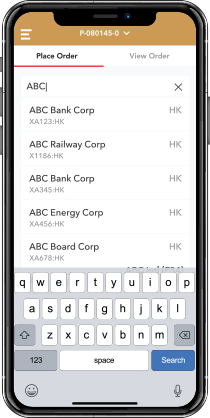 ID number, passwords or account number) by e-mails or through any hyperlinks embedded in such e-mails. You are advised only to contact us through our official web-site domain address (www.dbs.com/hk) and not to use any such e-mails or hyperlinks. 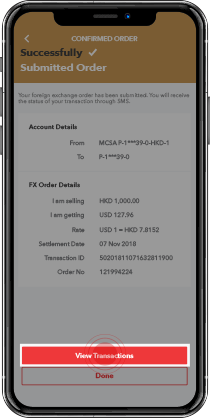 Please report immediately to us on 2290 8888 if you receive any such e-mail. 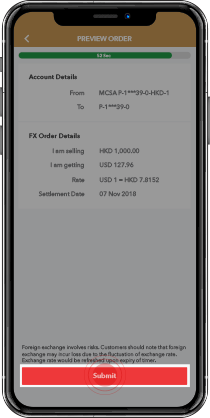 The screen images in this website are for reference only. 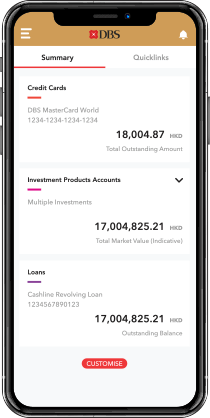 Your DBS iBanking portfolio view will depend on your product holdings with our bank.